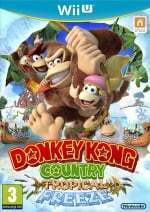 Donkey Kong Country: Tropical Freeze has been out for a few weeks now and — as we reported earlier this week — it’s selling quite a few copies as well as assisting Wii U sales. 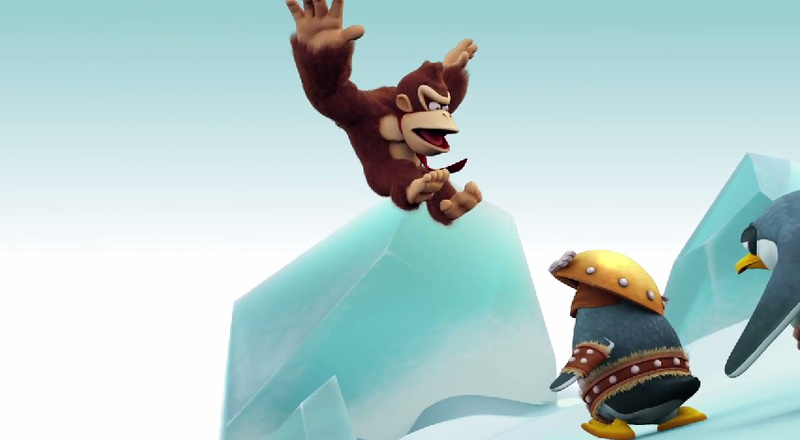 Everyone’s favourite gaming ape is certainly playing his part, seemingly winning the hearts of many that play it. If you can’t seem to get enough of the super simian, Nintendo of Europe has put its advertisement indents on Youtube for the viewing pleasure of the public; these were also previously released by Nintendo of America. Now we can see both of the animated shorts without any commentary or voice overs. So, UK watchers, if Brian Blessed getting all up in a fuss over Donkey Kong doesn’t float your boat, you can sit back and watch in peace; it is Friday, after all. Now that's more like it Nintendo!!!!!!! Now do for Mario!!!!!!!!!!!!! That'll be AWESOME!!!!!!!!!!!!!!!!!!!!!!!! Pretty funny. I wonder why they don't show more of the dynamic camera angles in the advertising? That penguin in the second was like "whatever"
"it is Friday, after all." I just got my copy of DKCTF yesterday, and I'm having a blast with it! Wii U owners that don't have this yet are missing out. @Artwark Mario hits a brick to get a Mushroom, and he chases it. But it falls off the ledge, and he still tries to get it, but he fell into the abyss. Toad, Peach, and Rosalina all facepalm (But Luigi cried). How's that? Lol, the second one is funny! Nice animations!